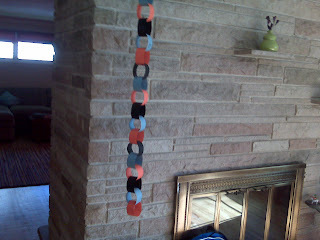 These pictures, via Cousin of her "Days-Until-School Paper Chain", exemplify our current, collective mood. Upon seeing Cousin's paper chain, her husband said to her that it was "dissapointing." In her shock disbelief, she wondered "to whom" to herself. Then she asked him to explain what he meant, and he said something to the effect of it being dissapointing that their summer is almost over. I'm with her. I mean, how long can a summer last? We've done nearly everything that the Twin Cities can offer and they are sick of it all: NOT THE [amazing and extraordinary, filled with super slides, a sandbox and popsicles] WATERPARK AGAIN!!!! But my exhaustion stems from a different source. Sara, age 9, had always been a thoughtful and cooperative child. Suddenly she seemed like a different person. She began talking back and flat-out ignoring her mom's attempts to get her to finish her homework, get off the phone, or do anything else. Her mom was bewildered and a little frightened. Who was this rude stranger who was impersonating her sweet-tempered daughter? Increasingly, preteens are exposed to stress and demands that can lead to moods and behaviors guaranteed to challenge any parent's patience. But because moods actually reflect a state of mind or feeling, it can be hard to identify them as such. What you see instead are the symptoms: being self-absorbed, stubborn, forgetful, or grumpy. It's not always easy, then, to respond in helpful ways. Moods tend to take hold when your child feels either put out or put upon. When events don't go as planned or as hoped, or your child feels neglected, it's only natural that he may feel humiliated, angry, jealous, or even powerless, and as a result, want to retreat inside himself for a time. The bad behavior that often follows is usually an attempt to regain ground and restore self-respect. You are often the target because your child knows you won't reject him for the behavior, even if you may not like it. Ugh. This describes our Nine to a tee! 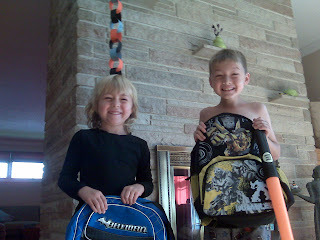 I've found myself lately thinking that with us, her brother and her friends, it is her way or the highway. . . And getting REALLY frustrated with her. This on top of her seemingly careless absentmindedness, one cannot help but imagine it all purposeful. * Be understanding. Although it can be hard not to take your child's bad mood personally, remind yourself that she may not have intended to upset you. * Get to the bottom of it. Rather than becoming annoyed or overly cheerful, acknowledge your child's bad mood and ask her about it. Say, "You seem a bit quiet/touchy. It's not like you. Has something happened?" If your child is younger and declines your overtures, encourage her to open up. But if your child is older, realize she might prefer her privacy. You might say, "That's fine, but if you decide differently, I'm here to listen." * Give more time and attention. It's tempting to steer clear of your child when she's in a bad mood, but that's when she needs your love and acceptance the most.